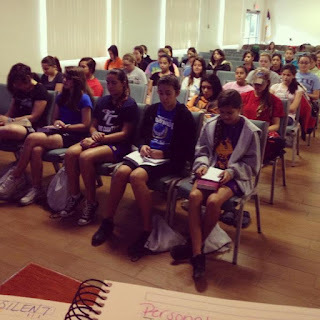 A week ago this very hour, I was standing before a room of 70+ youth girls. God had spoken to me a good word to share with them: When God is Silent. A friend asked me to share my notes and so, here they are. Ask the girls to close their eyes and not open them till I tell them to. Both the girls and myself are not to speak at all. Do not tell them for how long they will sit in silence. * Psalm 13:1 How long, O Lord? Will you forget me forever? How long will you hide your face from me? It was through the reading of God's Word that I learned on my own the lessons I am about to teach you. Miracles & Signs - Hebrews 2:3-4 // ex: Right (God parting the red sea for the people of Israel is him speaking for them to continue). Wrong (If he wears a green shirt he is my future husband). His Word Incarnate: Jesus - John 1:1-5 // The most important of all! 2. When is God Silent? This is not a checklist, so do not self diagnose God's silence. Seek Him. Do not doubt God or His Word - James 1:5-8 // Our limited knowledge and worldly wisdom will be as the waves tossed and driven by the wind. We are unstable when we doubt. Continue seeking God's Word and godly council/prayer. Do not become angry - Proverbs 25:28 // When we give in to anger, we are driven by emotions and lose self control/discipline. We become broken down walls, causing us to be vulnerable and defenseless to spiritual attacks. Do not complain - Exodus 16 // The people of Israel could have entered the promise land. It wasn't fear of the giants that kept them from entering, it was their complaining. They wandered for forty years because they complained constantly. They compared their misery to their slavery days. Greatest pity party in history: They longed for onions! YUCK! When we complain, we keep ourselves from the "promise land" and a perfected faith. We then become wanderers. Job suffered many horrific troubles. Chapters 1-37 God is silent, He finally speaks in chapter 38. That's a lot of time! David's life, through the Psalms, we read Him crying out for God to speak and work on his behalf. His enemies even mocked Him because God was silent. We also that God never left His side. Hannah prayed for a child and God's silence was reflected in her barrenness. God opens and closes the womb in scripture. He speaks as Hannah and Elkanah conceive Samuel the Prophet. When Mary and Martha called fro Jesus to heal their brother Lazarus who was sick. Jesus didn't move for two days, by then Lazarus was dead. They may have felt neglected. When they all thought all was lost, Jesus spoke, "Lazarus, come forth." Lazarus, still wrapped in burial wraps came back to life. The woman caught in the very act of adultery, stood before a crowd ready to stone her to death for her sin. Jesus, the only one who could have rightfully judged and condemned her, was silent as He wrote on the floor. There in the presence of Jesus' silence, as she waited to die, all her accusers left, one by one. And then He spoke, "Go, and sin no more." 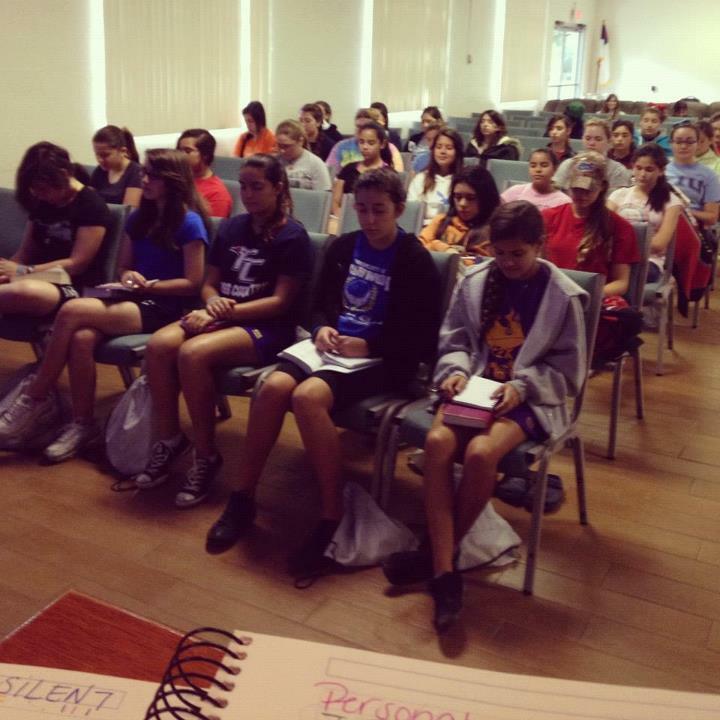 From the last word in the book of Malachi to the first word spoken in the book of Matthew, God was silent. That is 400 years, making that the longest period of time that God was silent. Imagine living your entire existence without ever hearing from God. The time of greatest silence was needed in order for God to do His greatest work. He became man and died the worst death, that today we would be able to live. * Silence can be likened to being stranded in a desert. * Every season of our lives is to be accepted as a gift from God. Even the seasons of silence. The rains in early spring was extremely important. If it did not rain in the spring, the land would not bear fruit that would sustain them in the seasons of drought and winter. God promises that when we pursue Him, He will be to us the dew of Israel, watering (the Holy Spirit work through the application of His Word) our lives so that we can bear much fruit and yes, even faith for the seasons of silence. *Hosea 10:12, "Plant the good seeds of righteousness, and you will harvest a crop of love. Break up the fallow and hard ground of your hearts, for now is the time to seek the Lord, that He may come and shower righteousness upon you. There you have it. I pray that Lord may have spoken to you, as He spoke to me these lessons. If you need prayer, shoot me an email [livingasalily@gmail.com]. May the Lord guard your heart and mind as you seek Him in the silence. 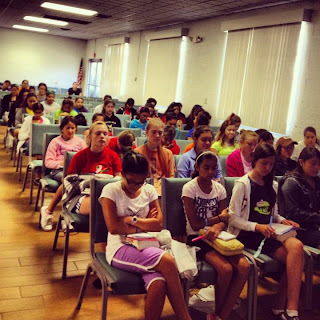 Last week at Uth Camp as the girls sat in silence.